Locality: United States, Colorado, Gunnison, Vicinity of Crested Butte. Habitat: Lodgepole pine community; slope; shade; sandstone parent material; w exposure; common. Notes: Var. 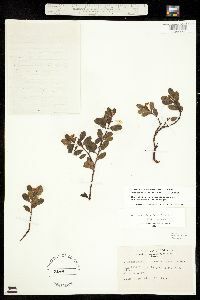 adenotricha Fern & Macbr., det. W. A. Weber, 1966. 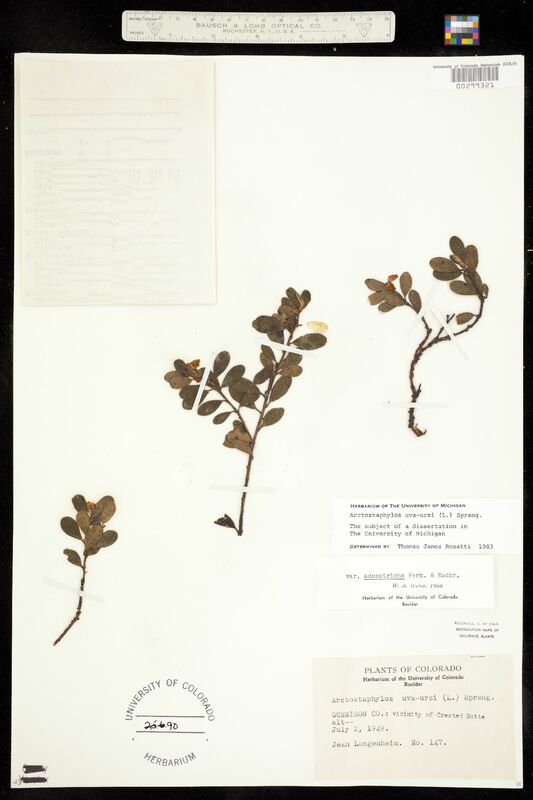 / Arctostaphylos uva-ursi (L.) Spreng, det. Thomas James Rosatti, 1983. 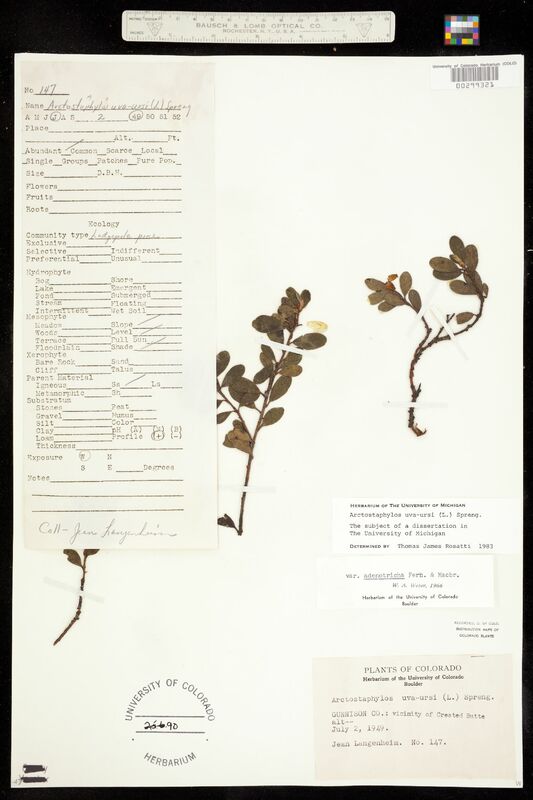 Original ID as Arctostaphylos uva-ursi (L.) Sprengel. 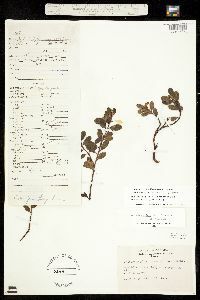 Field data sheet attached to specimen.